1 YRS Shenzhen Anruifeng Technology Co., Ltd. 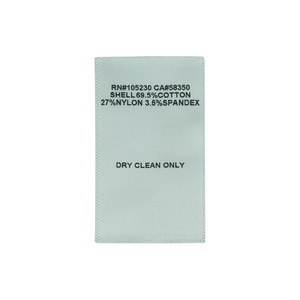 Item Factory price high quality custom garments clothing woven label Size 40mm x 90mm, the size also can be customized made as your requirement Color as Panton color chart Material Eco-friendly polyester Craft Sublimation printing, woven printing, jacquard, ect. MOQ Only 100pcs Sample time only for 3 - 6 working days after the artwork is confirmed Production time As normal it needs 5 - 16 working days or according to your order quantity Delivery time 2 - 7 working days after the production is shipped Shipment Way Small order: DHL,UPS,TNT,Fedex; Big quantity: Via sea transportation. I have been in China for business more than 20 years. They have a good way to save the production cost. We want to establish a long friendly business relation with Jiefa factory . 2.Q: Can you inform your delivery time9 A: Normally it takes 3~5 days to finished the goods after receiving the deposit . 3.Q: Can you make custom design9 A: Yes, the size, color and perforated all can be made as your request. 2. Q: How far is your factory from the railway station9 A: It takes around half an hour by car. people in yuxing believe green and environmental protection is our permanent responsibility. which are able to satisfy the customers&rsquo; various needs and demands regarding the different printing mode and also the different industries. printing label Meijei is a company which specializes in providing design and production of printing packing, etc. For suiting ever-changing needs of market, we insist on innovation and rapidly responsing the latest trend, and absorbed in providing high quality products and services to our customers. *making sample: agree with price then making sample, 3-7days *confirm sample: send sample by express or by email pictures *order: payment for 30% deposit, another 70% before shipping. Just Buy with confidence, if we cannot make your label, we will give you a full refund. ) (If you need help with this please contact us and we will provide the font source to you. ) Then we will create and send you the layout to preview as soon as possible. Call us today and let our label specialists guide you step-by-step in receiving a superior quality woven or printed fabric label. 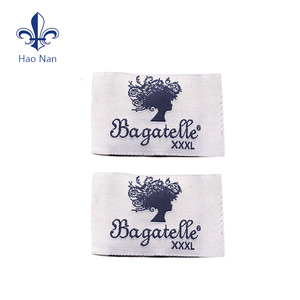 Label Introduction Damask woven label high density weaving, high-end quality, best woven image result, great durability woven clothes label. Taffeta woven label less density weaving, thinner fabric body, good weaving quality and woven image result, the cheapest one. 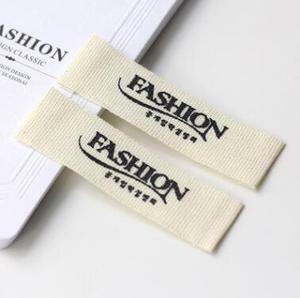 wholesale garment woven label/tag/customized clothing label printing for lingerie 1) 1600 DPI print output on a fine quality white art paper or high gloss paper. 2)The addition of an overlaminate, matt or gloss, provides the ultimate protection for fine detail printing. We can help choose different materials to ensure the products perfectly and saftly according to customers&rsquo; requestments. 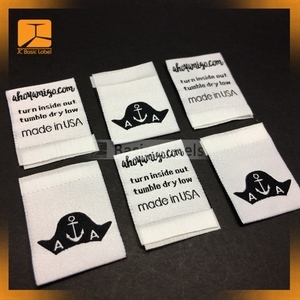 high quality custom woven label for clothing ,bags , shoes and etc . sample working way we are offering free service of structure design . 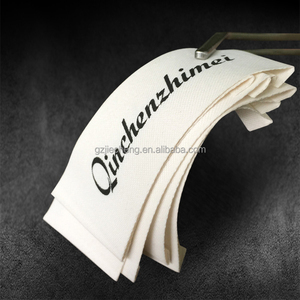 Alibaba.com offers 95,280 woven printed label products. About 9% of these are garment labels, 1% are packaging labels, and 1% are labeling machines. A wide variety of woven printed label options are available to you, such as adhesive sticker, in-mould label. You can also choose from 100% polyester, pp, and cloth. As well as from waterproof, anti-counterfeit, and holographic. 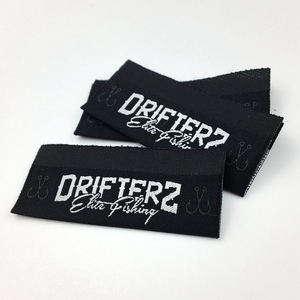 And whether woven printed label is embossed, printed, or embroidered. 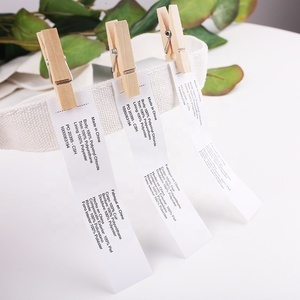 There are 95,280 woven printed label suppliers, mainly located in Asia. 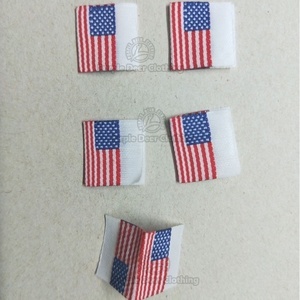 The top supplying country is China (Mainland), which supply 100% of woven printed label respectively. 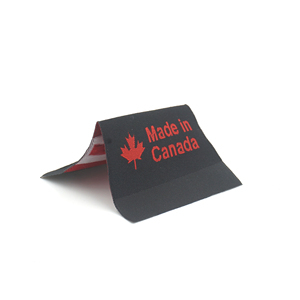 Woven printed label products are most popular in North America, Western Europe, and South America. You can ensure product safety by selecting from certified suppliers, including 24,432 with Other, 10,967 with ISO9001, and 2,646 with BSCI certification.